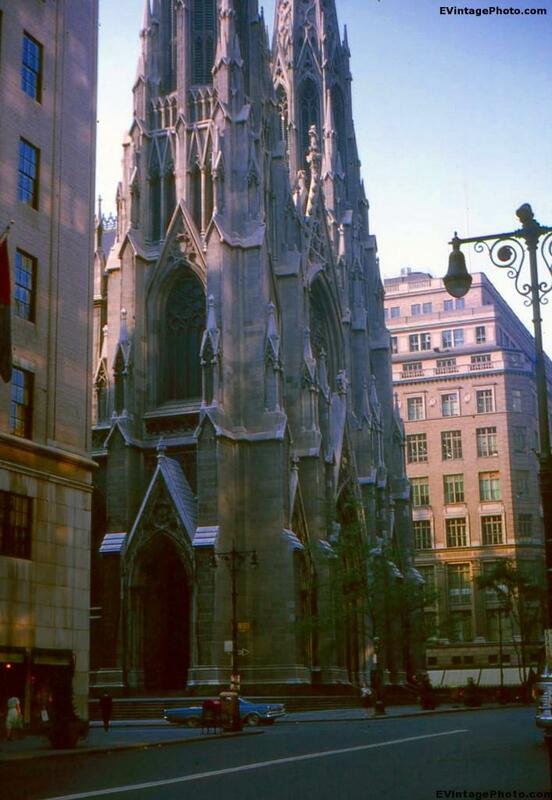 The Grace Church in New York City is a French Gothic Revival style building. It is built with “Sing Sing Marble,” a type of stone from quarries along the Hudson River near the (in)famous Sing Sing Prison. The stone was quarried with what was essentially slave labor, as prisoners were frequently conscripted to bring in money to the Prison, and the State. The cornerstone of the building was laid at 800-804 Broadway and East 10th Street in 1843. The church building was consecrated in 1846. Grace Church’s vestry minutes from January 1846 break down the expenses in building the Church, including the use of Prison Labor to cut the stones. The building’s original wooden spire was replaced with a stone one in 1881. This is just the front of Grace Church. It actually takes up a full New York City block, extending from East 10th to East 12th Street. Have you ever been to this Church or attended services there? Does it have the same feeling as some of the old world Cathedrals such as Milan Cathedral or Saint Mark’s Basilica?